Bethesda has long been known as a company that supports modding, and players of their games have embraced that. Mods have added everything from better graphics, to additional story and quests, to Macho Man Randy Savage. Fallout 4 will support mods as well, and in fact, there are already a number of mods available for the game. Some even add the stuff we talked about in our Fallout 4 podcast. These eight mods are a great place to start your modding adventure. Know one we missed? Tell us what it is in the comments! If you're having a hard time telling night from day without checking the time on your Pip-Boy, this is the mod for you. Darker Nights lets you choose from multiple levels of darkness, ranging from just a little darker to "can barely see the hand in front of my face." 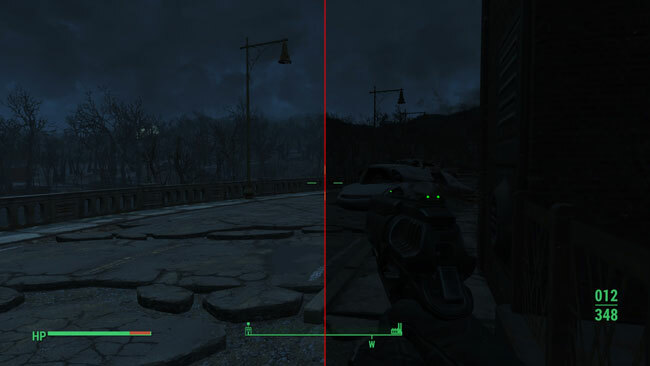 It only affects the exterior areas, but it definitely lets you know when night has fallen.